We are still registering players for U8! If your child was 7 years old or younger on September 1, 2018 they can play. $75 for registration and $30 for a US Lacrosse membership. We have loaner sticks available. Contact Andy or Julie at the bottom of this page for more information. Too busy this spring? Want to give it a try this summer? 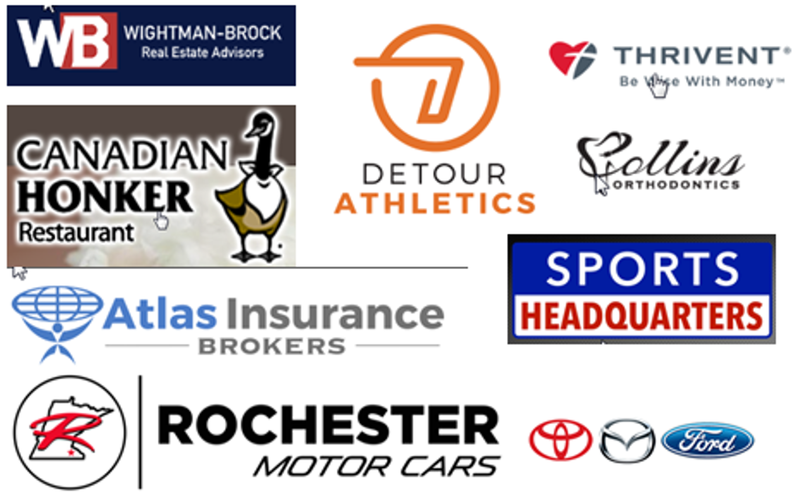 If you are interested in supporting Rochester Area Lacrosse as a Team Sponsor in 2019, please click on the Sponsor/Contribute tab for more information. Team sponsors allow our players, coaches, and board members to focus on the sport, not fundraising! Arnolds Supply and Kleenit Co.
Learning a new sport can be daunting for a Player or Parent. We want to get you off on the right foot. Please watch the videos below and feel free to contact someone in the "Contacts" section above with any questions!! Lacrosse in Rochester has grown at a tremendous pace over the last few years, this is great for the game but creates a problem for our organization. We do not have enough coaches to teach the game to all of our eager kids. The Rochester Area Lacrosse board is looking for parents to volunteer to coach boys or girls teams for the spring or summer season. We know many of you may not have experience coaching lacrosse but we also know many of you have coached other youth sports. We can teach you everything you need to know about the game, provide practice plans, game plans as well as give you the opportunity to attend coaching clinics at no cost to you. Please contact us if you want to coach, have questions or would like more details. We look forward to another great lacrosse season. Lacrosse is growing like crazy in Rochester, and RAL needs more parent involvement in order to remain successful. Email ralaxboard@gmail.com if you'd like more information about how you can get involved with RAL. The third Tuesday of each month at 7:00 pm in the Bob Fick Room at the Rec Center. This link will take you to some training resources for new Sport Ngin Members. ©2019 Rochester Area Lacrosse / SportsEngine. All Rights Reserved.